South of Colorado Springs in the San Luis Valley lies the town of Alamosa. It’s a great base from which to explore the many unique and interesting attractions in this region. Take the Great Sand Dunes National Park and Preserve, some 45 minutes drive from here. If you didn’t think you could build sandcastles in Colorado, think again. 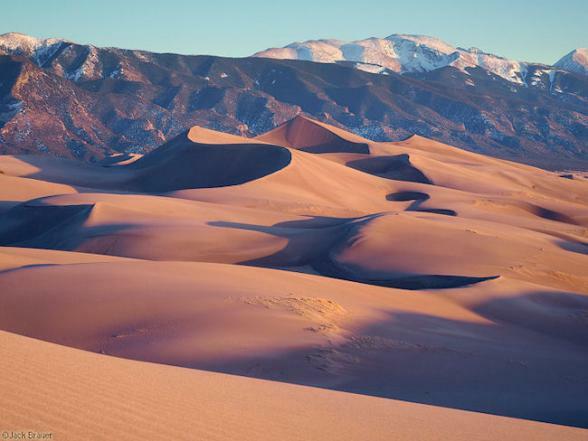 Here North America’s highest sand dunes flank some of the continent’s highest peaks. This is a 30 square mile real sand pit playground! Hopefully, you’ll have time to visit the Medano-Zapata Ranch, a Nature Conservancy Preserve, where the bison herd and elk co-exist. 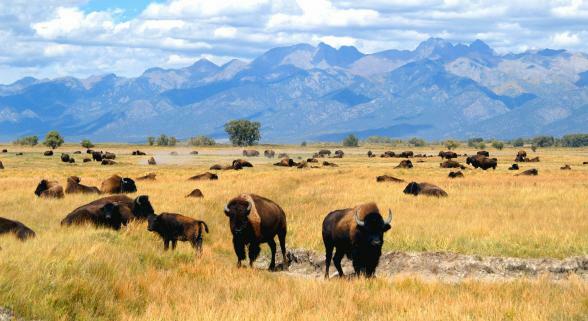 The Ranch is a large bison preserve featuring grasslands and wetlands on the west side of the Great Sand Dunes. 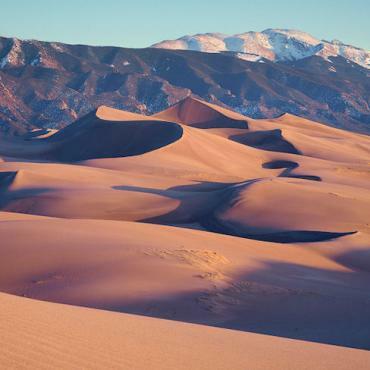 Call Bon Voyage for accommodation in this incredible region and help in planning your Colorado holiday..
Great Sand Dunes National Park and Preserve is a United States National Park located in the easternmost parts of Alamosa County and Saguache County, Colorado.